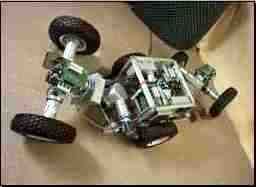 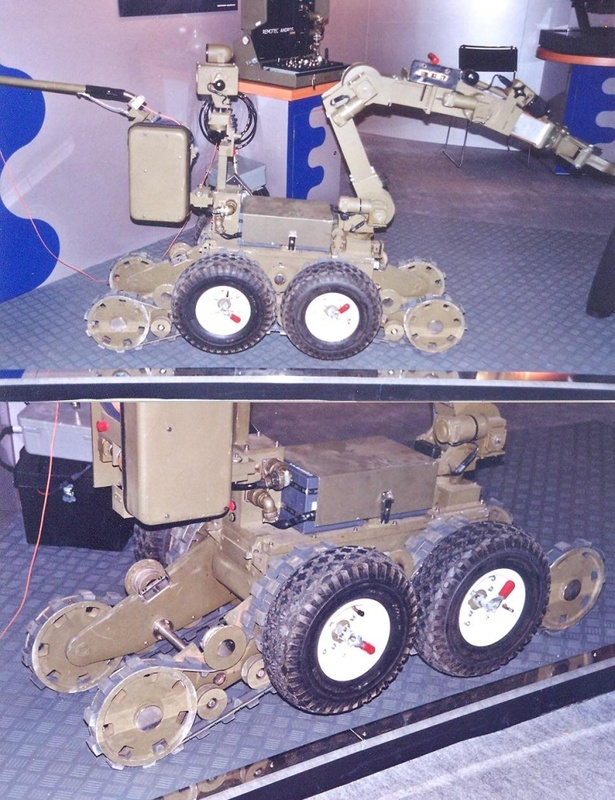 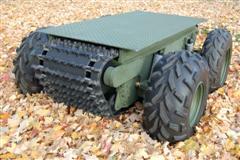 Remotec Andros robot, wheeled and tracked. 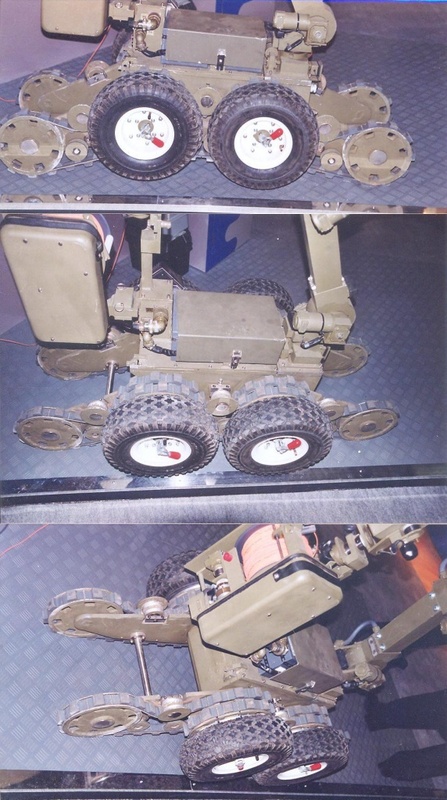 J M M at Le Bourget, June 2000. 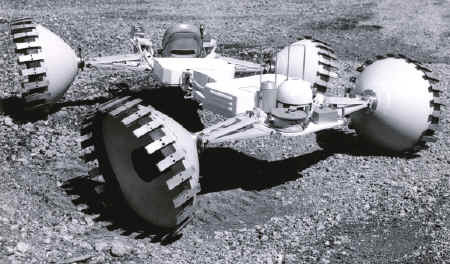 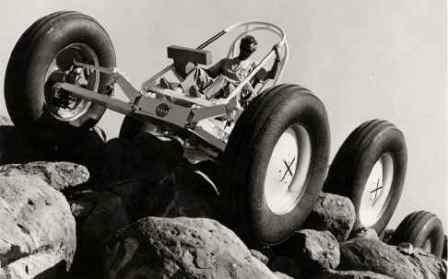 Scarab rover of NASA. 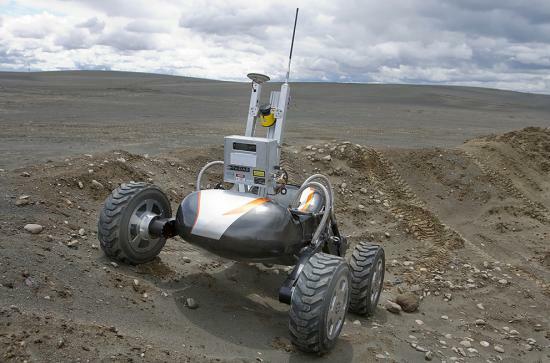 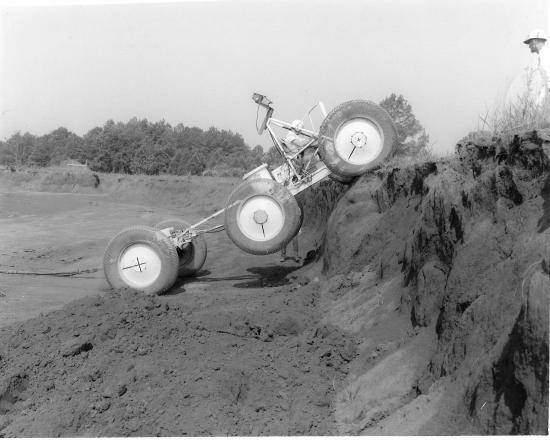 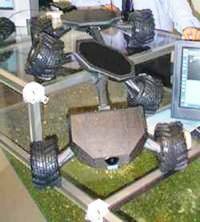 It's a self-leveling rover able keeping horizontal on slopes for drilling. 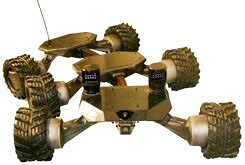 http://www.astroday.net/MKrovers.html. 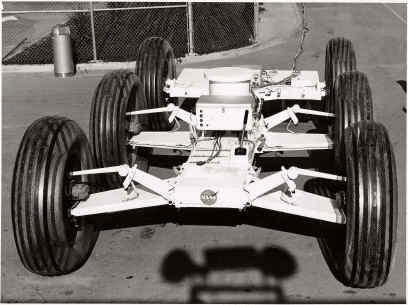 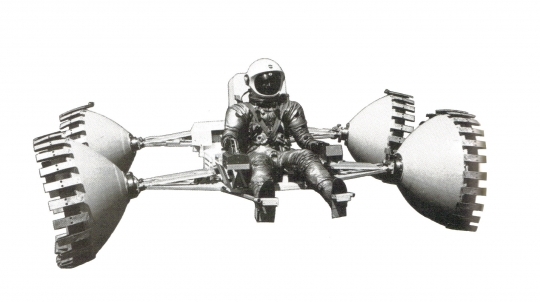 General Motors MTA 2 Lunar Rover in the 60s. 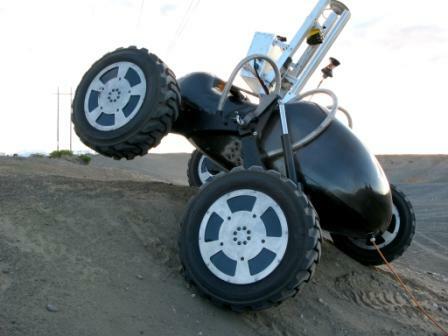 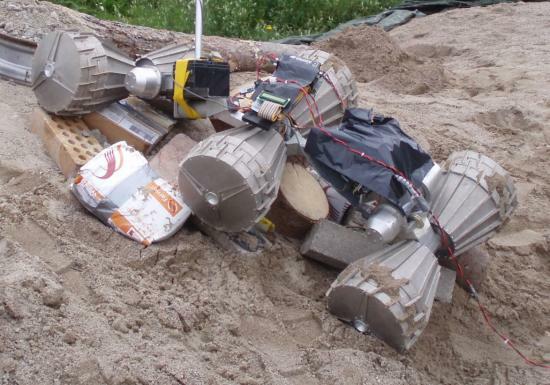 Wheeled mobile robot Spartan 2 was found on site : www.mechfoundry.com. 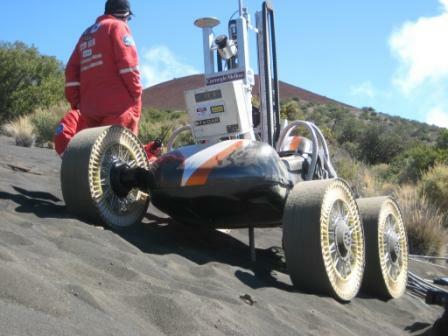 The front track allows crossing obstacles. 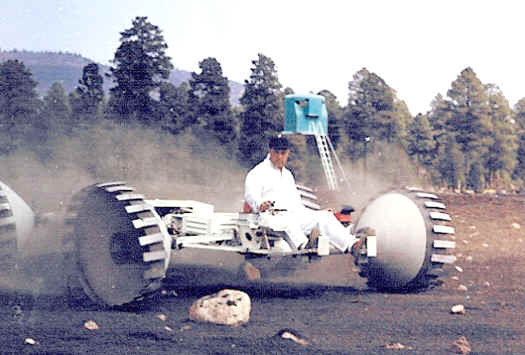 General Motors Lunar Dual Mode Test Article in the 60s at Santa Barbara.